If you can, write your own representatives as well. Find them at Who Represents Me NC, choose NC House and NC Senate and plug in your home address. Note: the link and way to look up your representatives has changed from what we taught in our Advocacy 101 sessions in 2017 and 2018. Write Letters to the Editor in your local papers as well – so more people find out how they are trying to impede media access at the Legislature. 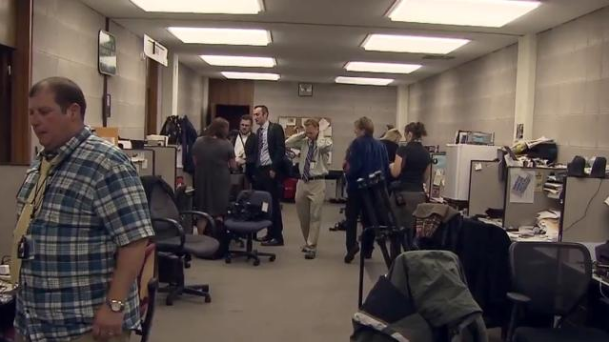 The editorial pages of both the Greensboro News & Record and Winston-Salem Journal both featured an editorial that blasts the leaders of the North Carolina General Assembly for exiling the Capital Press Corps from the space it has long occupied to the basement of the state Legislative Building. See “In the cheap seats,” 1/23/19. This entry was posted in advocacy, At NCGA, media advisory, ncga interference. Bookmark the permalink.